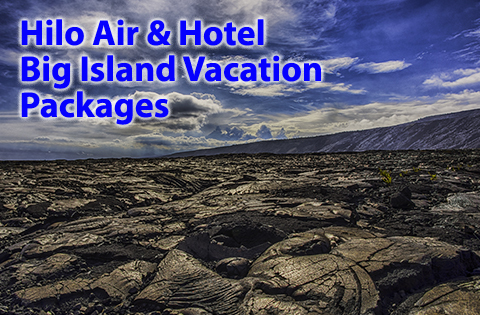 Big Island vacation packages starting at $678 per person, double occupancy. See Rainbow Falls on Big Island vacation packages. 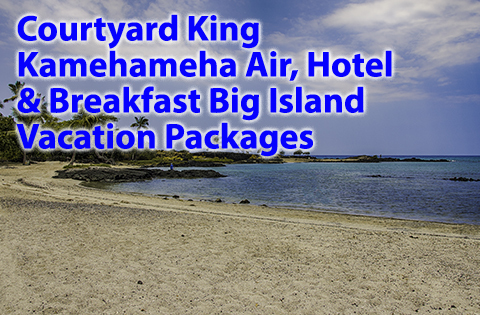 Interisland Air and Hotel Package to the Big Island – starts at $286 per person, double occupancy with roundtrip from Honolulu and 1 hotel night. * All offers, with or without designation by asterisk, are subject to change without notice, availability and restrictions. Click on links for details. Waipio Valley on the Big Island of Hawaii. The Big Island is an island of stark contrasts and incomparable beauty. Amazingly, the island has nearly every one of Earth’s major climate systems. 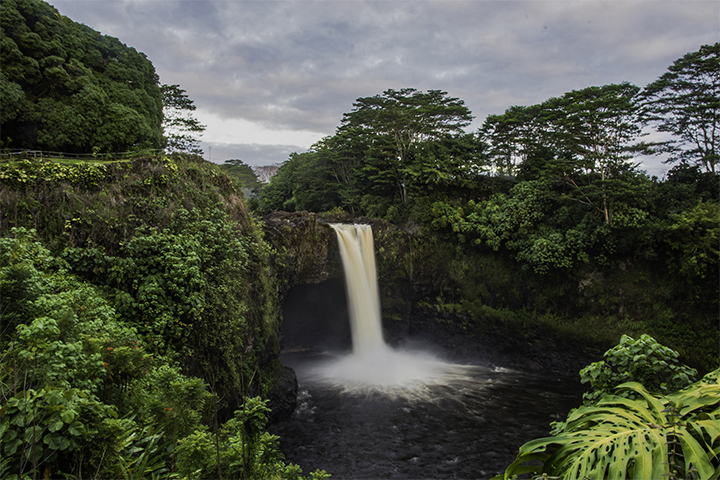 Its Hamakua Coast has many scenic waterfalls, such as Rainbow Falls and Akaka Falls. 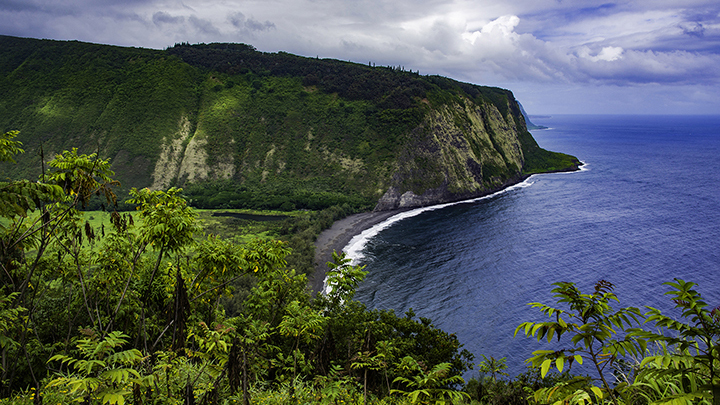 Here, you can also find historic and secluded Waipio Valley, once home to Hawaiian royalty. The Kohala Coast features the rolling hills of Kamuela and Parker Ranch. Parker Ranch is one of the largest cattle ranches of it kind in the country. As a measure of its scenic beauty, a number of deluxe luxury resorts line this coast line. The Big Island’s Kona Coast is a popular tourist destination area. Tourists can stay in a wide range of hotels and resorts in the Kailua-Kona area. Here, you can also find coffee plantations, black sand beaches and historic Hawaiian heiaus. Above all, the Big Island is famous for Hawaii Volcanoes National Park and its active volcanoes. The island’s most notable volcano is Kilauea. Within the park, you can see up-close Kilauea’s hot lava flowing into the ocean. Its other volcanoes are Mauna Kea and Mauna Loa. Respectively, they are some of the highest and largest volcanic peaks in the world. 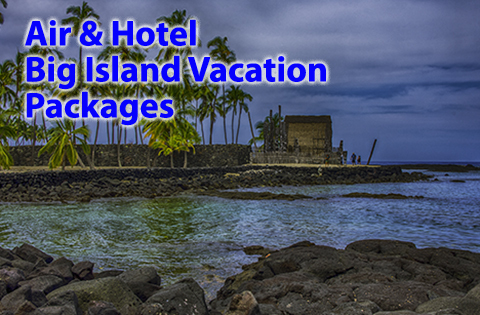 Panda Travel ® offers a wide selection of Big Island vacation packages at very competitive prices. We are also Hawaii largest travel wholesaler. As a result, we can offer you some of best values on Big Island travel deals. 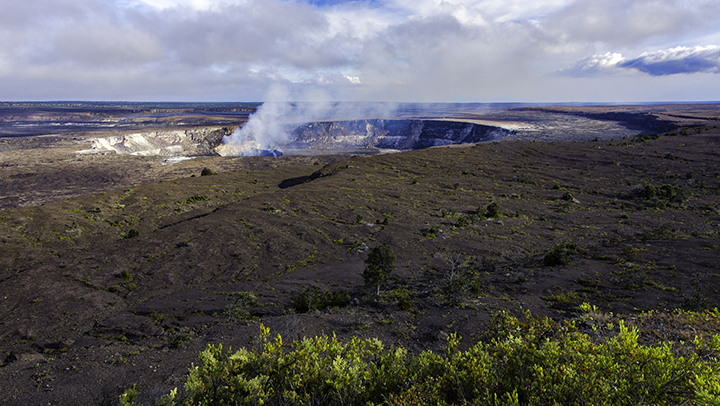 Kilauea crater in Hawaii Volcanoes National Park. Planning on Seeing More Hawaiian Islands?